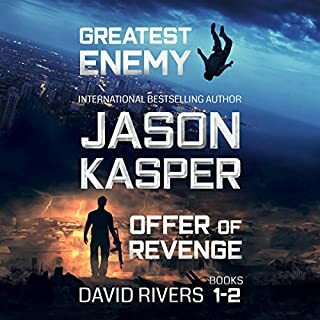 Former Special Forces officer and international best-selling author Jason Kasper delivers a gripping thriller series that follows an Army Ranger into the mercenary depths of an international crime syndicate. Get the first two audiobooks of the series in one bundle. Fast paced Action very entertaining. One shot. One kill. A simple plan. A simple operation. But it doesn't take much to throw off the assassination of a corrupt US senator in a foreign country. Not once the cartel gets involved. Can Riley "Bear" Logan and Jack Noble fight through the waves before a traitor gets to them first? Disappointing narration and weak plot! In late summer of 1994, Jack Noble, a former All-American quarterback, is in the middle of the toughest event he's ever taken part in: marine corps recruit training. After eight weeks he's managed to make enemies of every drill instructor and every recruit in his platoon. Then on one particularly humid South Carolina day, an odd sequence of events changes everything. Contains an excerpt of Noble Intentions: Episode 1. Prequel short story to Jack Noble series! Former CIA case officer Charles Jenkins is a man at a crossroads: in his early sixties, he has a family, a new baby on the way, and a security consulting business on the brink of bankruptcy. 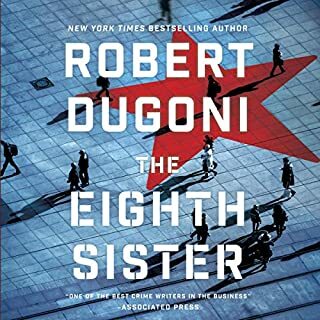 Then his former bureau chief shows up at his house with a risky new assignment: travel undercover to Moscow and locate a Russian agent believed to be killing members of a clandestine US spy cell known as the seven sisters. Desperate for money, Jenkins agrees to the mission and heads to the Russian capital. Excellent Genre cross of espionage&legal thriller! Jarvis Thompson, the most celebrated wide receiver in college football, vanishes along the Tennessee River in the middle of the night. The circumstances surrounding the receiver’s disappearance are ominous: drugs, cash, and his mentor’s brother lying in a pool of blood. Daniel Briggs, fresh out of the Marine Corps, wakes up in Defuniak Springs, FL, hungover and confused, with no memory of the night before. A powerful local family finds him, intent on repaying the previous night's encounter. How will the former Marine ward off his attackers, deal with his demons, and avoid being blamed for a young girl's death? The two corpses are mutilated. Naked. Frozen solid. It’s only a matter of time before the killer strikes again. With no evidence, no leads, and no clues, the local PD has no choice but to call in the FBI. Enter FBI recruit Chase Adams. While she may be new to the Bureau, Chase is no rookie when it comes to murder. But this case will push even Chase to the limits - it’s like nothing she has investigated before. When a third body surfaces across the country, Chase realizes that she is on the hunt for a killer whose murder spree knows no boundaries. Jon Reznick is a "ghost": a black-ops specialist who takes his orders from shadowy handlers, and his salary from the US government. Still mourning the loss of his beloved wife on 9/11, he's dispatched to carry out a high-level hit. Reznick knows only that it must look like suicide. It's textbook. But the target is not the man Reznick expected. The whole setup is wrong. In an instant the operation is compromised, and Reznick is on the run with the man he was sent to kill. From Amazon number-one best-selling author Mark Dawson, this novella is an introduction to John Milton, the most dangerous assassin in the pay of Her Majesty’s government. Meet John Milton. He considers himself an artisan. A craftsman. His trade is murder. Milton is the man the government sends after you when everything else has failed. Ruthless. Brilliant. Anonymous. Lethal. You wouldn't pick him out of a crowd, but you wouldn't want to be on his list. After saving her three-year-old daughter from a car-jacking, off-duty police detective Jocelyn Rush ends up in the ER. The last person she expects to run into is Anita Grant, former prostitute and an old acquaintance from Jocelyn's days on patrol. In spite of her obvious injuries - mutilated hands and feet - Anita refuses to talk about what happened. Reluctantly, Jocelyn backs off, and Anita's case goes to Philadelphia's Special Victims Unit. Before long, Jocelyn is pulled into the SVU's investigation. 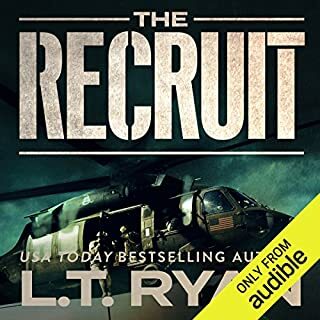 When elite Delta Force soldier Luke Stone joins a secretive government agency, he is dispatched on the mission of a lifetime: a whirlwind race across Europe and the Mid-East to save the President’s daughter before she is beheaded by terrorists. A killer is putting the mangled, lifeless bodies of prostitutes on display in sleepy Northeast Tennessee. The murderous spree is accelerating. Two detectives, Lukas Miller from Johnson City and Brooke Stevens from Kingsport, have been assigned to hunt the killer down and stop him. Miller and Stevens are considered the best in their respective departments, and although they've never met, their superiors order them to work together in a coordinated effort to put an end to the violence as quickly as possible. Their reputations, and perhaps their careers, are on the line. When collegiate baseball phenom Chase Fulton suffers a freak injury on the field that shatters his dreams of becoming a Major League catcher, his future looks bleak until he’s recruited into quasi-governmental covert operations, where his training as an assassin and covert intelligence operative launches him into a world fraught with danger, intrigue, and unexpected passion. Can’t wait for book two! A serial killer stalks women in rural Ohio. He is deranged but brilliant, known only by the grotesque nickname the media has given him - The Doll Parts Killer. The name is apt. He dismembers his victims and leaves them in garbage bags in public places. A residential neighborhood. Next to a roller rink. Behind a Burger King. The investigation is a disaster. No physical evidence. Unreliable witnesses. To make matters worse, the FBI has lost contact with the star profiler working the case. Nate doesn’t want to listen. He’s between missions and just wants to relax, not to travel hundreds of miles and hunt for the driver of the car that hit someone he doesn’t even know. But ignoring the call is not an option. What Nate had hoped would be a simple mission turns into something much more sinister, when he discovers a wide-reaching evil, festering in a small Northern California town. To confront it, he will need all the skills he’s learned working in the shadow world. Nate takes the road less traveled.. 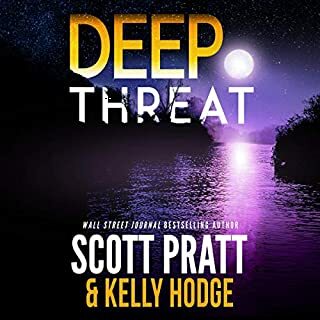 When a mysterious client asks former Delta Force operator Case Lee to investigate a rebellion in South America, he uncovers an incredible global conspiracy. Welcome to revolution, murder, and behind-the-curtains intrigue. As events unfold, the spies and mercenaries come to a hard realization. You may mess with a lot on this good earth, but you don't mess with Case Lee. They crashed the heist. They killed his sister. They'll pay in blood. Harvey Stone knows the murder business like the back of his hand. As the adopted son of an East London gang boss, he's had plenty of opportunities to perfect his bloody craft. Now, he's one hit away from avenging his little sister's brutal murder. All he's missing is the name of his sister's killer - a secret his closest allies are finally ready to reveal. To claim his reward, Harvey must eliminate the rival gang and assassinate their ruthless leader. If he pulls off the mission and exacts his revenge, he'll lay down his bloody weapons for good, but one botched shot could lead to torture, death, and an all-out gang war. Stone Cold is the first book in the gripping Stone Cold Thriller series. If you like savage criminal underworlds, fast-paced action, and intense characters, then you'll love J. D. Weston's shocking quest for revenge. Buy Stone Cold to lose yourself in East London's gritty underground today. Incredible! Brings the book to life!!! 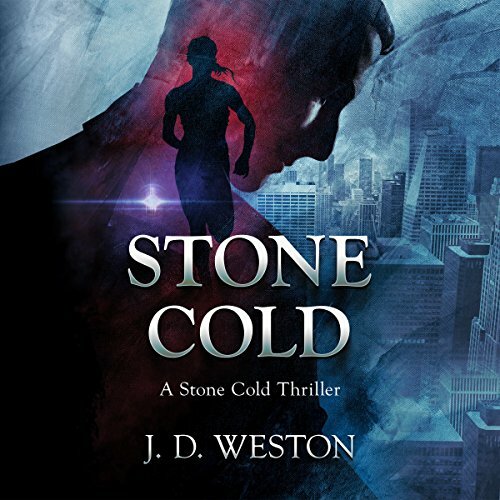 Would you listen to Stone Cold: A Stone Cold Thriller again? Why? 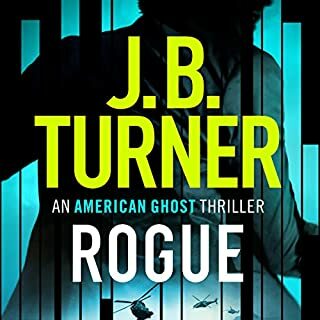 I have already read all the current Stone Cold Thriller series and loved it. Now I am even more hooked on this fantastic series after hearing Greg Patmore's audio version! He brings the characters to life amazingly, giving them all a distinct voice and character that immerses you in the action. So I would definitely listen again! It is all so animated and active, that I could easily listen again and again and again. I really like Julios' character. Even though I liked him already in the book, the way that Greg Patmore creates his voice is so spot on, with a perfect, calm accent, it gives even more depth to Julios' character, especially his strong and quiet personality. Have you listened to any of Greg Patmore’s other performances before? How does this one compare? I haven't listened to any more of Greg Patmore's performances (although I now want to!). But I can imagine that the many characters and many diverse conversations of JD Weston's books really highlight Greg's talent. He switches so effortlessly between voices and makes the dialogue flowing and moving along with the fast action. A stone cold killer on a quest for revenge! So glad this fantastic series is now an audiobook. It means I can enjoy it all over again in an original way, thanks to the brilliant creativity of Greg Patmore and the ever-readable JD Weston! Unusual story, well written and beautifully narrated. Interesting characters brought to life. buy it now. I read the book and now listening to it narrated by Greg is brilliant. The characters came to life just as I had imagined they would and the pace is perfect. Lots of twists and turns in the story and one or two shocking scenes that make this first book in the series a real page turner. 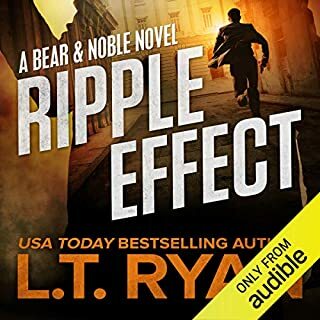 Looking forward to the next audible release!